Perfect for homemade holiday gift giving! 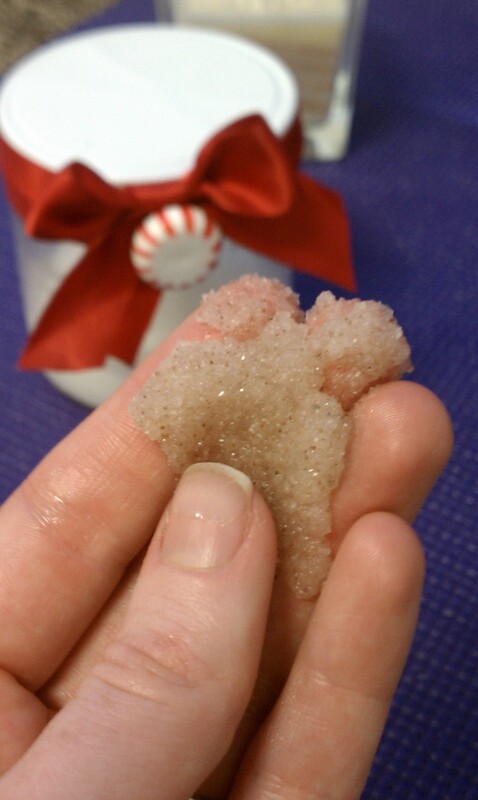 Our simple holiday Candy Cane Body Scrub will leave your dry winter skin hydrated and lightly scented. It works great on feet, elbows, knees, and all-over! Make one for yourself, and one for someone in need of pampering this holiday season. Mix well and place into a pretty holiday jar. Love this….looking forward to all kinds of neat things w/ coconut oil. Thank you, I am gratefull to have found your site. 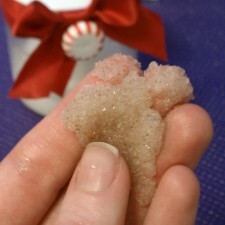 I was wondering; what would the shelf live of the Candy Cane Sugar Scrub be? Could I make this wonderful scrub as a gift well in advance of Christmas? How should I store it? Thanks so much!! You should be able to make this scrub in advance with no problems! As long as the ingredients put into it do not expire, the scrub should last. Just be sure to store in a closed container at room temperature. Enjoy it!